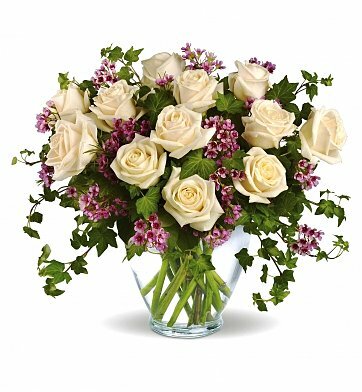 Victorian Romance Roses is a hand delivered gift. These gifts are delivered by one of our local design centers located throughout the United States and Canada. Same day delivery is available for most gifts when ordered before the cutoff time. The cutoff time for Victorian Romance Roses is 2 PM in the recipient's time zone. living internationally is hard enough when a close family friend passes away - but to have easy access to show our love was remarkable!! The flowers were stunning and delivered quickly. My friends loved them and were shocked that it could be done so quickly.